Here’s a quick project I put together this week. And by quick I mean, an hour or less! It started out as a card, but I switched over to the frame and I like it a lot better! 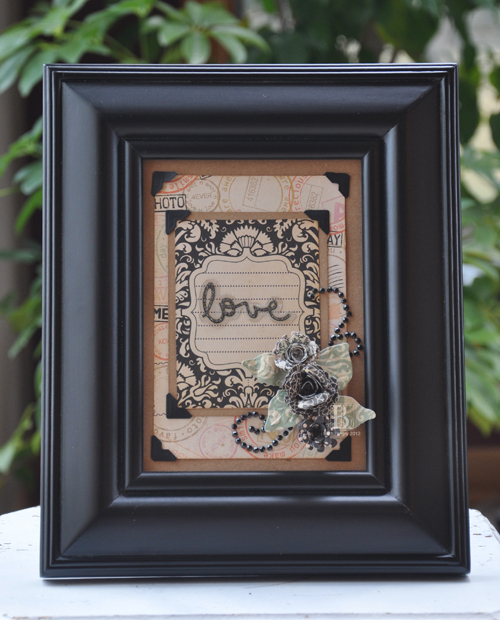 I started with the Fancy Pants papers and little pre-printed card, added the transparency “Love”, then die cut the flowers with Bitty Blossoms and added the Nestabling. The flowers were rolled and adhered with SCRAPBOOK ADHESIVES BY 3L™ Dodz™ adhesive dots. They’re so easy, I’ll have to put together a post on that soon. 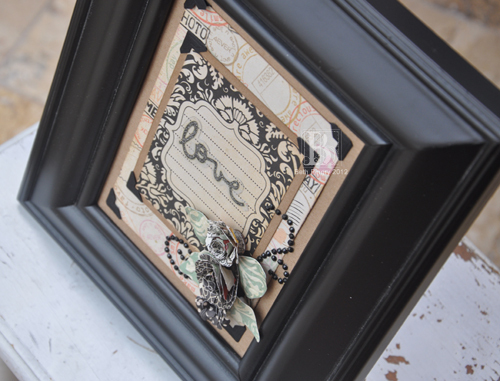 This entry was posted in Altered Art/Mixed Media, SCRAPBOOK ADHESIVES BY 3L, Spellbinders and tagged Bitty Blossoms, Clearsnap, Fancy Pants Designs, Flowers, Frame, Spellbinders, Want2Scrap, WorldWin Papers. Bookmark the permalink. (and by card I meant “frame”) Apparently my brain is not yet 100%! geesh! I love this card, Beth!! !